Extremely comfortable chair with arms and waterfall seat as standard. 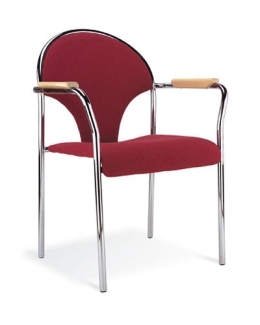 Frame comes in a chrome finish will stack up to 4 chairs high. Available for immediate delivery with selected fabrics.